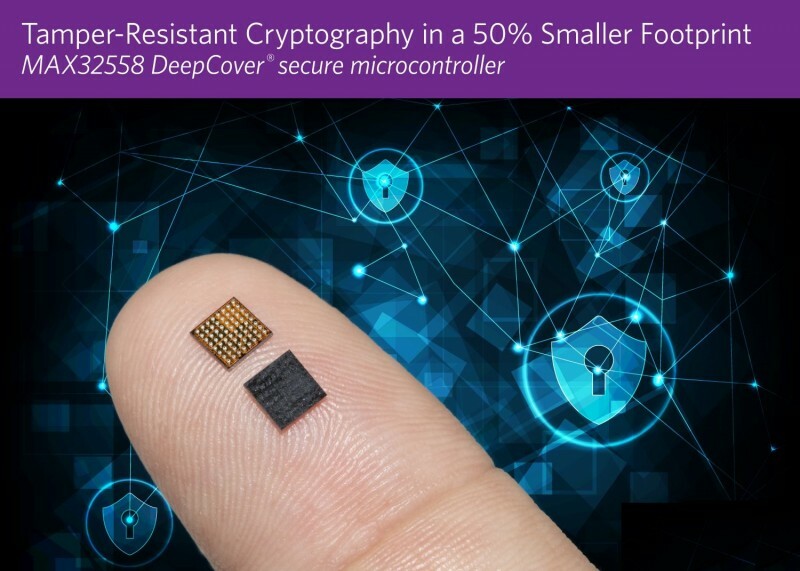 Maxim Integrated Products has announced the MAX32558 “DeepCover” family of secure microcontrollers that provide advanced cryptography, secure key storage and tamper detection in a 50% smaller package. As electronic products become smaller and increasingly connected, there is a growing threat to sensitive information and privacy, requiring manufacturers to keep security top of mind when designing their devices. While designers should prevent security breaches at the device level, they often struggle with the tradeoff of enhanced security with minimized board space, as well as the cost of design complexity and meeting time to market goals. The MAX32558 DeepCover Arm Cortex-M3 flash-based secure microcontroller solves these challenges by delivering strong security in a small footprint while simplifying design integration and speeding time to market. It integrates several security features into a small package, including secure key storage, a secure bootloader, active tamper detection and secure cryptographic engines. It also supports multiple communications channels such as USB, serial peripheral interface (SPI), universal asynchronous receiver-transmitter (UART) and I2C, making it ideal for a wide range of applications. Maxim’s long-standing reputation and experience in payment terminal certifications as well as its established support and technology can help streamline the certification process for customers, reducing the process up to 6 months’ time (rather than the typical 12 to 18 months). Easy design integration is enabled by a complete software framework including real-time operating system (RTOS) integration and code examples in evaluation kit. Code can be easily ported from one device to another as it shares the same API software library as the rest of the product family. A pre-certified Europay, Mastercard and Visa (EMV)-L1 stack for smartcard interface is provided. Extensive documentation and code is provided for managing the device lifecycle, such as secure firmware signing and device personalization. The MAX32558 is available at Maxim’s website for $3.80 (1,000-up). 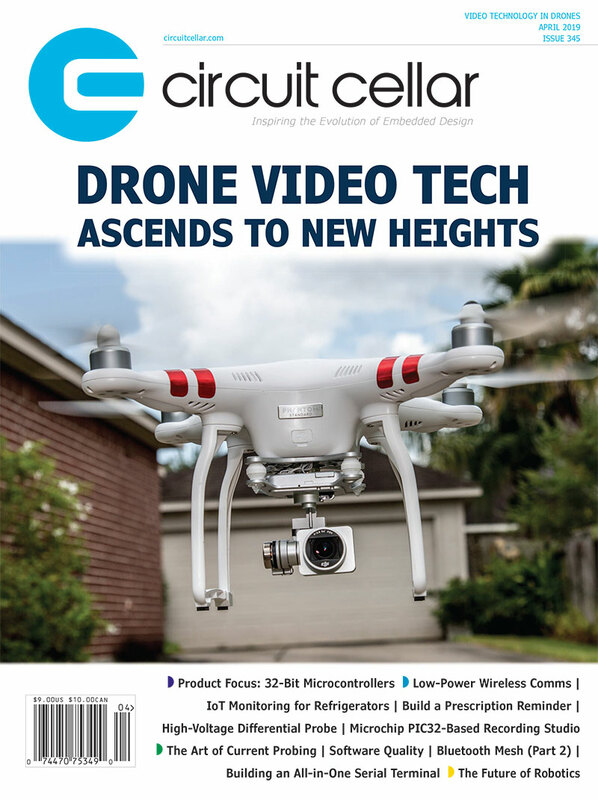 This entry was posted in Industry & Enterprise, Product News and tagged cryptography, IoT, MCU, microcontrollers, secure key storage, security, software development tools, tamper detection by Circuit Cellar Staff.